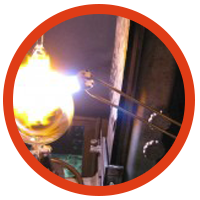 Glassblowing | Boston, MA - Yankee Glassblower, Inc. Your projects rely heavily on the use of specific materials to minimize risk and maximize success. Yankee Glassblower, Inc. offers a variety of glass, ceramics, and more to meet your individual requirements. Learn more about each one to get a better idea of how we can customize your next order. Yankee Glassblower, Inc. has a long history of using our glassblowing skills to contribute to scientific study. We also publish articles to improve the practices and efficiency of our own industry and to share our knowledge to others. Meet our team of experts and discover our past projects today. Place your next order for specialty glass products today. 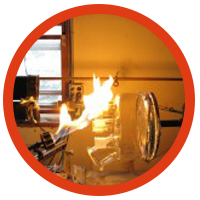 Yankee Glassblower Inc. has created and manufactured custom laboratory glassware and other science-related products since 1968. We serve the scientific needs of corporations, universities, and government organizations nationwide. Our unique, in-house model shop allows us to quickly produce fixtures that hold tight tolerances and increase production. As a local, family-owned business, we care about our community and how we impact it. Yankee Glassblower, Inc. is proud to be an environmentally friendly company. We do not use corrosives in our work, as these are hazardous to the environment and difficult to properly dispose of. Our glassblowing experts only use the highest quality resources for every product. When you work with us, your satisfaction is our top priority. We are committed to quality and craftsmanship with every piece, whether it's a seal, cell, or flask. Your project is important to us, so we pay close attention to details. Contact us for more information on our services and rates or to start the manufacturing process of your specialized products.